I like the retro-ness, the improbable sponsorship, Eno and the cat. The attention to detail is impressive as well – the typography, the aged look, the body copy. It all combines to give it an aura of authenticity. I thought it would be fun to build on it. 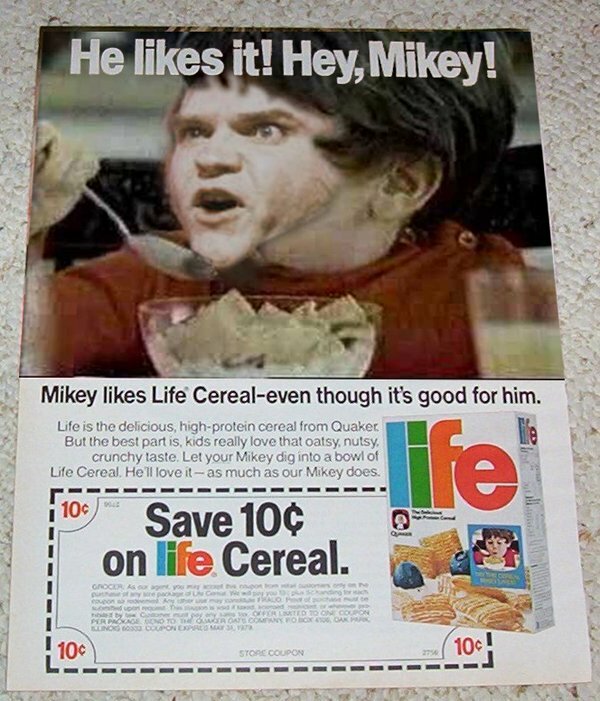 So for today’s challenge, I had the idea to put Meatloaf on Mikey from the old Life cereal ads. I’m not sure why I thought of it. Maybe it’s because I was eating cereal as I was going through email and found something from Ruth and Martin’s Album Club, which featured Bat Out of Hell a few weeks ago. I could have made it cruder, in keeping with the bad photoshop aesthetic, but I kind of like the way it blends to give him an extruded skull look, sort of like Alien. If I really wanted it to be good I’d have to adjust the type to say Meatloaf instead of Mikey, and put his face on the cereal box as well. 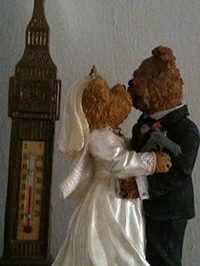 This entry was posted in Uncategorized and tagged dailycreate, ds106, meatloaf. Bookmark the permalink. Didn’t Mikey die chasing Pop Rocks with Coca Cola? Maybe I should do a Mikey Pop Rocks ad. Or a PSA about how pop-rock and coke don’t mix.